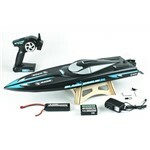 The Black Marlin BL will have you racing across your regional pond or lake with brushless power in no time. 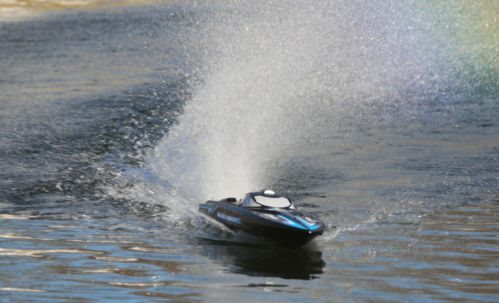 The excellent speed is produced by the installed effective brushless 3500KV motor in mix with a 20A Water-Cooled ESC with reverse and the consisted of 3S 1800mAh Lipo battery pack. The great handling of the Black Marlin BL originates from the factory-installed stainless-steel trim tabs and turn fins that supply great control and the ability to "turn on a cent". The BL likewise has a long lasting uni-body (no seam that might become apart) ABS hull that comes pre-painted with a unique black matte finish and a pre-applied trim plan that supplies a streamlined, aggressive look. 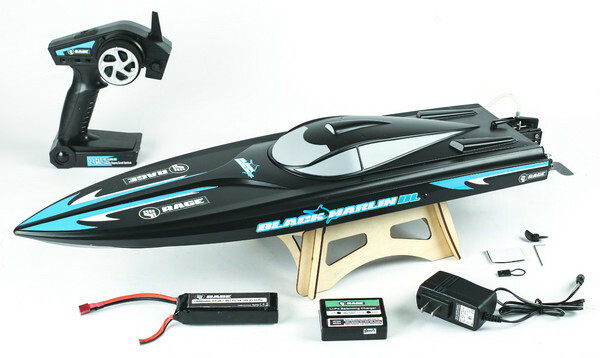 The Black Marlin BL is a RTR (Ready-To-Run) boat that shows up 100% factory-assembled out of package with a 2-channel, 2.4 GHz radio system that features completely proportional steering and throttle control, a 17gram water-proof servo, and a hassle-free DC battery charger with an AC power supply that plugs into any electrical outlet. The BL features a display stand that proudly reveals it off when in dry dock. 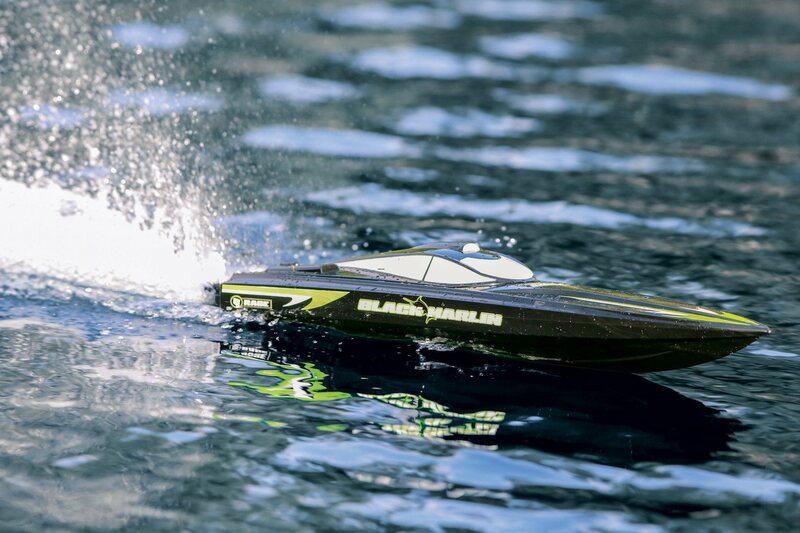 Even the AA transmitter batteries are consisted of, so the Black Marlin BL can be racing across a local pond or lake within minutes of opening the box!